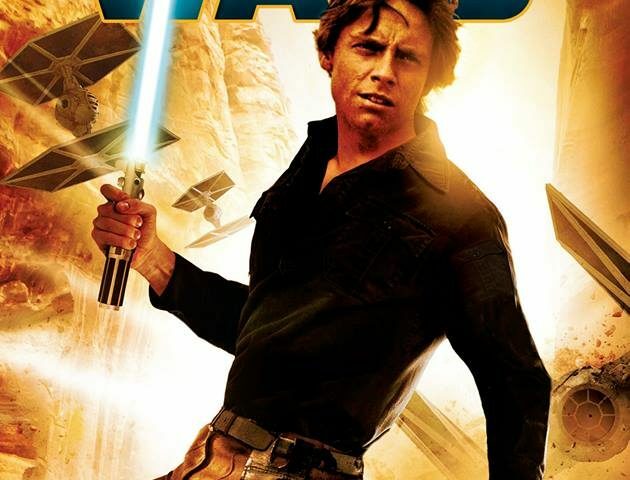 Star Wars: Heir to the Jedi is the first fully canonical novel to feature Luke Skywalker. Told entirely in the first person, from Luke’s point of view, we travel along with the fledgling Jedi on some of his early missions not long after the destruction of the first Death Star – and we catch some glimpses of his attempts at using the Force. Luke is shown taking baby steps in his exploration of what he can do with his newfound abilities. He’s completely game for it all, but he’s still unsure and unproven – Death Star destruction aside. He keenly misses Obi-Wan and the guidance he would have provided. One can only imagine how daunting it would be to know you have the ability to use the Force, but not the first real clue on how to go about harnessing that ability. Still, Luke is determined. The book covers three missions undertaken by Luke, and his trusty sidekick R2-D2, with each mission increasingly dangerous. In the first, Luke must travel to Rodia in an effort to secure a smuggling deal that will help keep the Rebel Alliance properly supplied during its battle against the Empire. The second sees Luke and Artoo teamed up with Nakari Kelen, a Rebel sympathizer in possession of a sleek – and very fast – space yacht. They are sent to the remote planet of Fex with the purpose of locating the missing members of a scientific expedition. Fex is home to alien creatures with a particularly nasty way of finding sustenance, not too dissimilar from those in Alien. Yeah, they’re pretty creepy. In the final mission, Luke is tasked by Princess Leia and Admiral Ackbar with the rescue of a valuable slicer/cryptographer who is currently being detained by the Empire, and who longs to be reunited with her family. Luke and R2-D2 are once again teamed up with Nakari Kelen, who has her own issues with the Empire. Luke and Nakari make an interesting team. Luke is still, in many ways, very much the farm boy, but Nakari is confident and self-assured. She also happens to be attractive and full of personality – she complements Luke, and he takes notice of her attributes. She’s no slouch in a fight, either! Their skills are well-matched. Most importantly, though, she encourages Luke in his outreach to the Force. Teasingly, as is her way, but she really seems to grasp how important it is to him – and, by extension, the galaxy as a whole. Luke is my favorite Star Wars character, and I was looking forward the first person narrative. Although, there were times I lost Luke’s voice in the narration. To me, there was a disparity between Luke’s spoken word and his inner monologue. While speaking, he sounded like the Luke we know from A New Hope (and the events of this book are not that far removed from that time). However, Luke’s inner voice sounded as though it would have been better suited to a post-Return of the Jedi Luke. It still sounded like Luke, albeit a much more mature and measured Luke — Very much like the man who defiantly faced down the Emperor in his own throne room on the second Death Star. That said, Heir to the Jedi was pure Star Wars. From shoot-outs to narrow escapes, I could practically hear John Williams’ score playing in my head – a credit to Kevin Hearne, to be sure. The threat of the Empire looms large over everything, and Heir to the Jedi perfectly illustrates that there are few places for the Rebels to hide – and few people they can fully trust. Forget ravenous alien creatures — The long reach of the Empire is the real terror in the galaxy. Hearne created some fantastic characters in Nakari and Drusil. They were fully realized, and I could easily view them in my mind’s eye. I grew to care about them and, for me, that’s the measure of good writing. Ultimately, the most important take-away from Heir to the Jedi is confirmation of the quality of Luke’s character. He’s a good person, through and through. Luke is honest, humble, selfless, and decent. The perfect recipe for an extraordinary Jedi. *I also wanted to note that the cover art by Larry Rostant is easily my favorite out of all previous Star Wars novels. Just gorgeous! Star Wars: Heir to the Jedi is due for release on March 3rd. You can order your copy here. Thank you to Del Rey/LucasBooks for providing a copy of this book for review.